Reporters Without Borders (RSF) has denounced the “poisonous climate for press freedom” surrounding Catalonia’s independence bid, citing harassment of journalists on social networks and propaganda pressure from the Catalan government. In a report released on Friday (October 13), the press freedom NGO demanded respect for the “free exercise of journalism” and urged that no judicial procedures be used to intimidate Catalan media. The report, based on testimony collected over the summer, was previously released ahead of the disputed referendum but updated in English in light of the growing tensions. Issues covered include the harassment of journalists on social networks, attempts by crowds of demonstrators to intimidate TV reporters, and pressure exerted on media by the local pro-independence government. All journalists who spoke to RSF confessed to self-censorship as a result of pressure, with several dropping stories, or wanting to do so, or even leaving Catalonia. 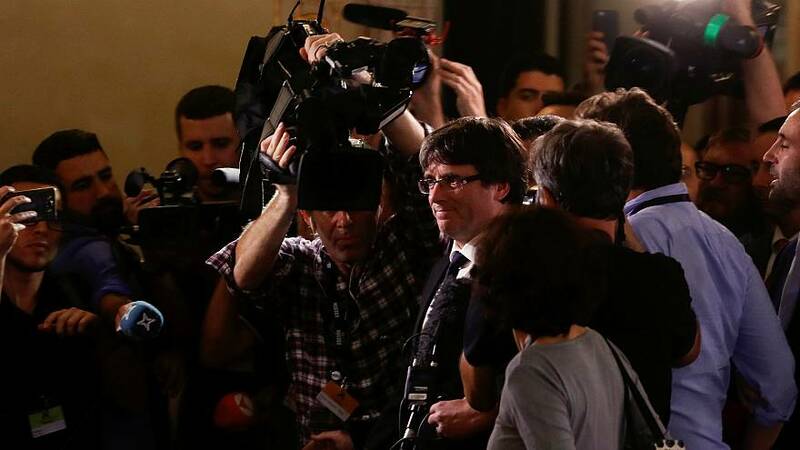 Journalists also complained of separatist politicians and press officers “editing,” “correcting” or showing an excessive interest in what was being published about Catalonia abroad in the run-up to the October 1 vote. “The climate for the free exercise of journalism has been tremendously corrupted by extreme polarization in Catalan politics and society,” said Pauline Adès-Mevel, the head of RSF’s EU-Balkans desk. “Driven into a corner by the Spanish government’s intimidatory manoeuvres, the regional government has gone too far in its attempts to impose its vision on the local, Spanish and international media. The best indicator of a healthy democracy is a free press in which journalists write what they believe and refuse to censor themselves,” she added. Spain is currently ranked 29th out of 180 countries in RSF’s 2017 World Press Freedom Index.